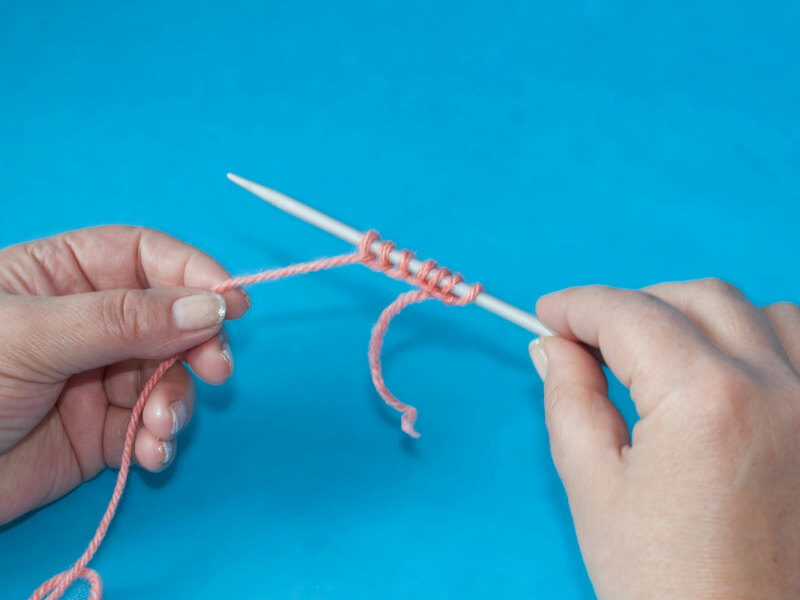 The first thing you need to do when you start knitting is to cast on the stitches. That is the first step in any knit work. The number of stitches you need to cast depends on the width of your work. The stitches have to be as wide as your work will be. However, don’t worry about that because all knitting patterns state how many stitches you need to begin with. So here is a simple way to cast on along with a video tutorial. 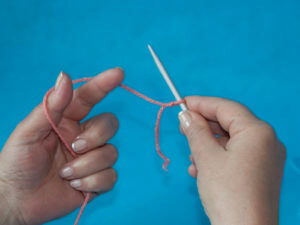 For casting stitches you need only one needle, so for now put the other needle aside. First you have to make a slipknot: Wrap the yarn around your index finger and pull the tail end through to make a loop. 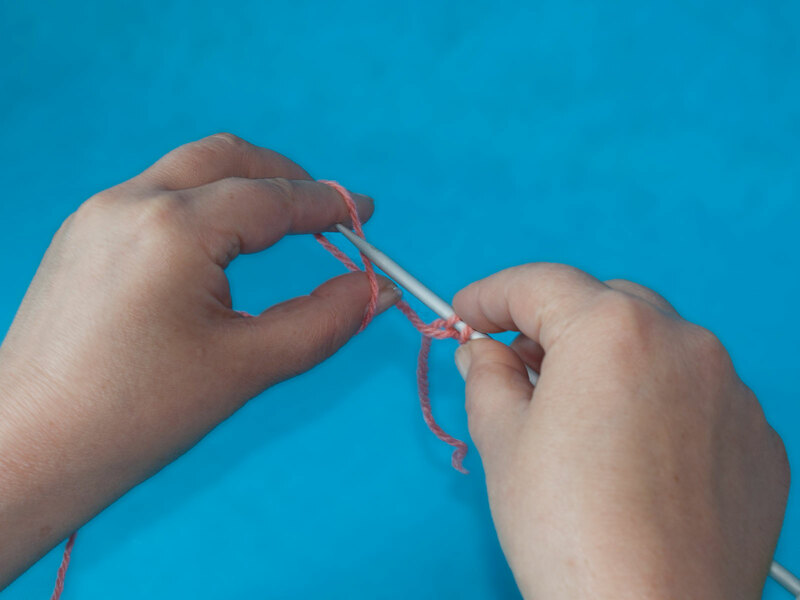 Slip the loop on your needle and pull the yarn to tighten it up. Now you are ready to start casting on the stitches. Wrap the working yarn around your index finger and drape it around the thumb. 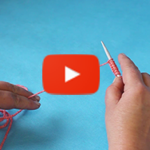 Stick the needle under the yarn around the index finger and pull with your thumb as shown in the video. There you go! You have cast on your first stitch. 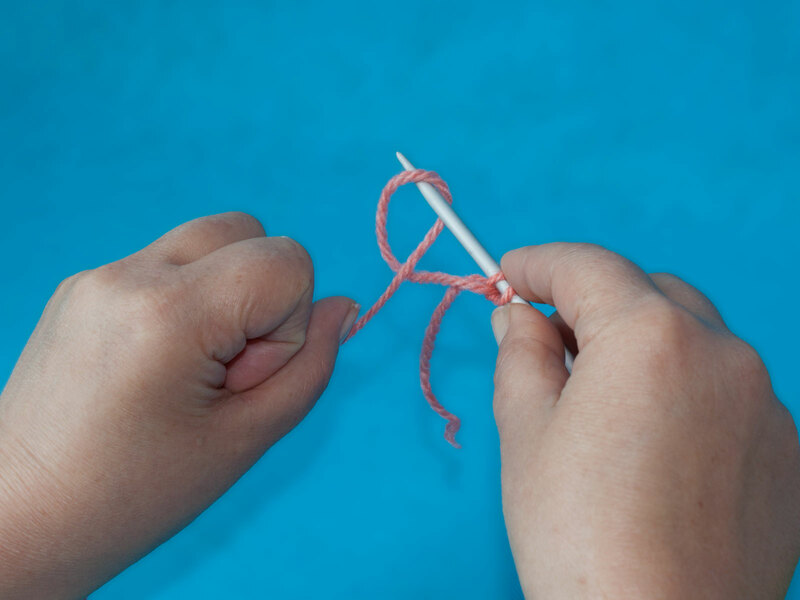 Keep casting on until you have as many stitches as you want.